Philadelphia Therapist: A Better Life Therapy - Therapist 19110. Send A Message To A Better Life Therapy. 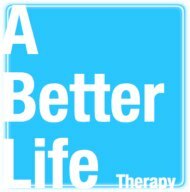 A Better Life Therapy, LLC is a group practice in Philadelphia, PA. Our therapists are highly trained and offer empathetic and solution oriented therapy to support you in managing difficult feelings and events while moving forward in your life. For more information or to schedule online please visit our website at www.abetterlifetherapy.com. I have some very good news for you. Having difficult feelings of sadness, anxiety, hopelessness, anger, guilt, shame—does not mean you are not healthy. What this does mean is that you might be uncertain about how to manage these emotions in a less painful way. I am so sorry you are struggling and I want to support you in feeling better. Throughout my diverse experience there remains one constant: the human capacity for resilience. In my work with clients, I strive to nourish this resilience. I approach every individual with curiosity and attention to their uniqueness. Accordingly, utilizing the strengths of each individual to support them in reaching their goals and full potential is paramount. I believe that establishing a sense of safety within the therapeutic relationship is the first step towards allowing us to address difficult emotions and dynamics, which can lead to healing and growth. My interventions are geared towards supporting clients in gaining deeper understanding and acceptance of themselves and others, as well as in developing concrete tools. I believe that you are not defined by any one aspect of your life. We are all complicated, with problems and strengths, histories and futures, so I believe in treating you as a whole person. I can also incorporate physical wellness into our work together. No topics are off-limits. As a working professional, a wife, and the mother of a small child, I offer you the benefits of my life experience, with the advantage of still being young enough to remember how difficult it can be to plan a path to the future, establishing an identity separate from, yet still connected to your parents and siblings. I am grateful for your consideration of therapy as an option to support working through some of your struggles. I want you to know that there are moments in each of our lives when responsibilities, experiences, and feelings that we have can become overwhelming. During some of these most stressful times, it can be difficult to figure out what to do next on our own. I hope that is where I can be of some assistance. Making the decision to come to therapy might feel challenging; I strive to provide a warm, safe space for clients and their families, so that the entrance to treatment can happen more smoothly. Our lives are all comprised of a a series of transitions, some of which cause great distress. I am hopeful that by working together, I can help you to find the clarity that you are looking for and work through the painful emotions of anxiety, anger, sadness and fear. ​I am a big believer in the power of relationships to heal and sustain personal growth. I approach each session from this mentality. I am interested in genuinely getting to know you, and to understand your experience. You are the expert on your own life! I like to use my relationship with you to help you move through this moment in your life and to help you feel less hopeless or 'stuck' emotionally. You have taken a positive step in addressing your discomfort and suffering by considering therapy. I’m here to help you take the next step. As a therapist, I’m driven by the positive change and growth I see clients make in managing long term issues and the abrupt challenges life can bring. I’m here to support your journey of addressing and overcoming the issues and challenges that have led you to seek treatment. You are unique and I tailor my therapeutic approach to what is most comfortable and effective for you, drawing from my experience and training in several treatment modalities.